Like every annual Google Conference, Google I/O 2018 was filled with treats and wonders any budding techie would love to come across. At the same time it was an exhibit of its technological smartness which outclassed several business apps and individual app building attempts. The several innovations and new features set out to be incorporated in the system is an indication of the kind of research and progress that shall be accomplished. As one of the best app development company let us expand to you its effects on the app marketplace which shall help you take the smartest step toward your app building process. Much of Google I/Os content revolved around more sophisticated AI systems. The most awe striking moment was its ability to fix a salon appointment over a voice phone call with a real human. If that is sophisticated enough then you might realize that ordering food from your favorite restaurant doesn’t even require a voice exchange and still it condescends your average food app in so many ways. Google maps have been a very necessary requirement and is one reason why public transport is such a convenience these days. While it has already solved plenty of variables in the equation, Google maps shall go a step ahead and address another subtle problem of using this feature. Before this AR was being used for all kinds of things possible, hardly did anyone realize that it could be used in geo navigation as well. As google calls it VPS (Visual Positioning System), it is a feature where google lens (in this case the lens of your camera) connects the environment to real time and gives you visual cues regarding your destination in real time. Until then aligning your position to the Maps direction was problematic in many cases and this is exactly the lift its users were waiting for. Combined with smart glasses and it will get the hardware solution that could make the perfect navigator tool. With 5 additional voices including that of a notable artist, it is clear that google has been paying a good deal of effort in AI. As already stated earlier, the demonstration of a voice assistant being able to book a salon reservation was by the far the most human thing you could find in context of AI. The interesting point to be noted is that if the AI can replicate an emotion, it can also detect an emotion by its matching capabilities. This is just an upgrade in better communication which might feel the gaps for voice services as required in many industries. The important thing to notice is that the tone of emotions unlike languages is universal and this technology might simply help establish a better sense of communication instead of just being a translator. So What is Android P? “Digital Wellbeing” is what google calls it, is the motto of the Android P. It focuses on smart device usage and makes an attempt in letting the user know its digital reliance with the intention of actually minimizing it. So basically your smartphone records all practices and operations its user does and makes a record of it. Simultaneously this is yet another attempt in machine learning and your phone is basically making an attempt to learn the most optimized usage of its system. Another feature that Android P offers is its smart battery device.Based on the stats of your daily smartphone requirements the Android P can actually optimize and reserve its power usage. Power Management and task management on your smartphone shall now be a thing and above that your device is basically making attempts in learning itself better. Considering the kind of breakthroughs Google has made so far, it seems fairly amateur for its current reputation to drop a project like smart glasses of its desk. Google’s futuristic lens concept once again uses AR to convert visual cues into input in real time and this time it can treat text and strings for analysis. You can also select paragraphs or words and copy it. This is also applicable in other visual cues like fashion or ever decor. The best part is how smartly it can convert the picture of a document into its accurate pdf equivalent. This shall come very handy to readers but if you go ahead and imagine its usage. So while the phone might not seem stylish in the google kind of way but wait, the company already has its google glass prototypes ready. 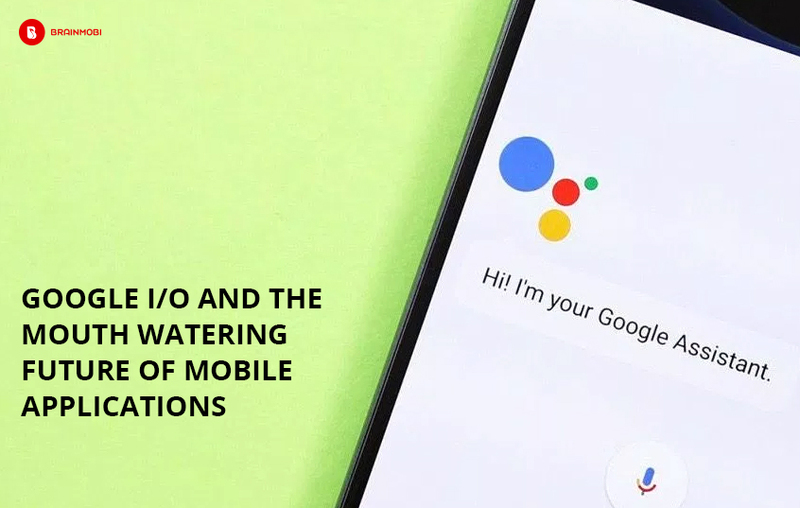 Sorry to spoil Google I/O 2019. Google APIs have been the bread and butter for almost any other mobile application. To the delight of application developers, google is offering three new APIs which shall give the creative space to sketch more mobile apps. This also means newer apps. Face Detection, Text Recognition and Image Labelling are the three new ones which can be implemented in various categories like Dating, Beacons, Security, Education, Social and what not. Any top Android App development company shall bring the best of this opportunity of conceptualizing around the three that is destined to give a totally new experience in the world of mobile applications. As an experienced service provider of android application solutions, we at BrainMobi are able to anticipate the future trends of the mobile app ecosystem. With expert practices in Wearable, Cloud Computing and IoT we can give the most sustainable solutions for the future well being of your mobile application. If you have the idea for a mobile app feel free to write to us at sales@brainmobi.com . shashank Shashank heads the Marketing & Business Analysis division, along with Operations at BrainMobi. 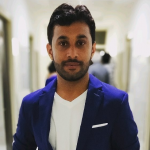 With an MBA from Amity University, certification in Information Security and Risk Management, and over 5 years of experience into IT and mobile app development industry, Shashank has acquired a keen ability across creating digital strategy, business strategy, user experience analysis, agile project management, operations management, digital marketing and other related marketing activities. Shashank is the driving force behind the day-to-day business at BrainMobi. Prior to BrainMobi, he was working for Affle Enterprise as Marketing & Business Analyst.